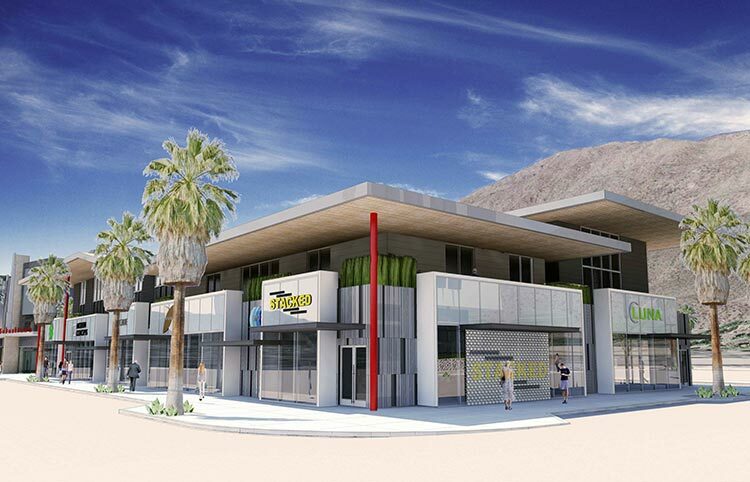 This project is one component of a master plan for a million square foot mixed-use development on six city blocks in downtown Palm Springs, California. 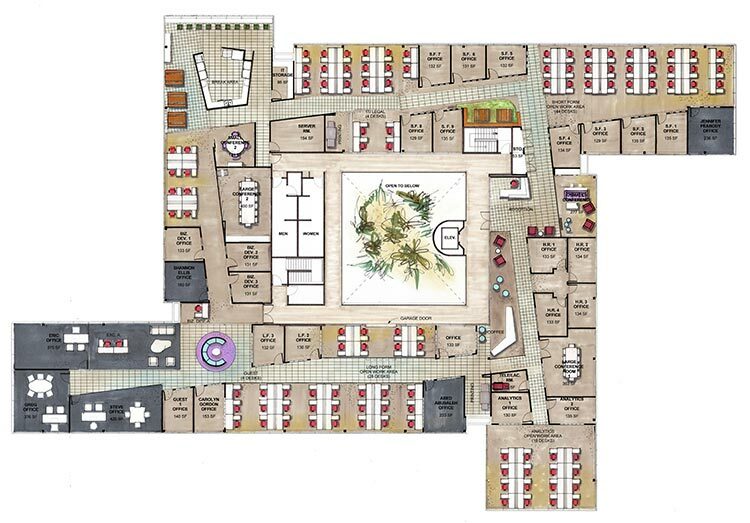 ACRM Architects is the Architect of Record for all of the redevelopment. The second phase of the project includes two mixed-use buildings. 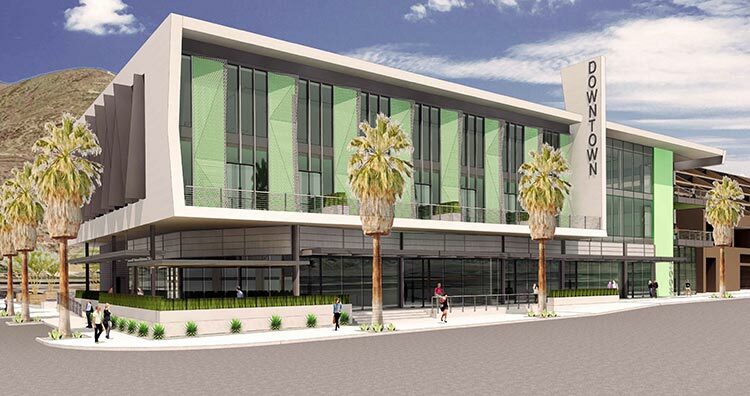 Building A is a 54,150 square foot, 3-story office and retail building south of the existing Palm Springs Hyatt Hotel. 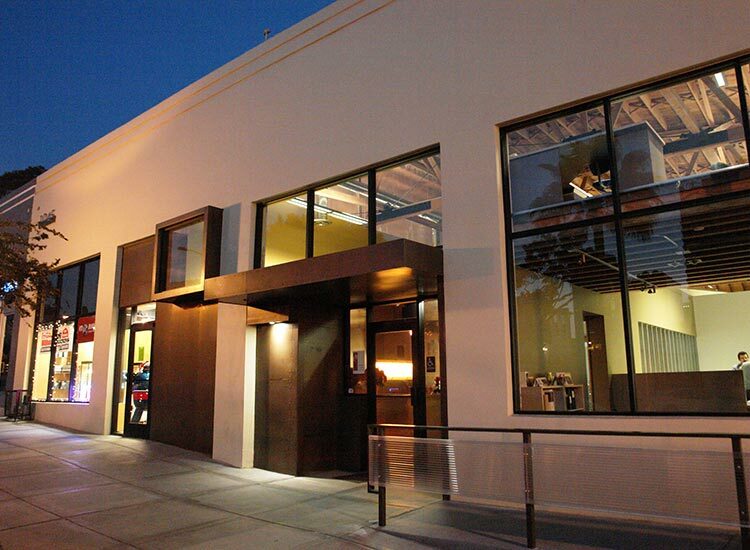 Building B is a 32,000 square foot 2-story office and retail building. 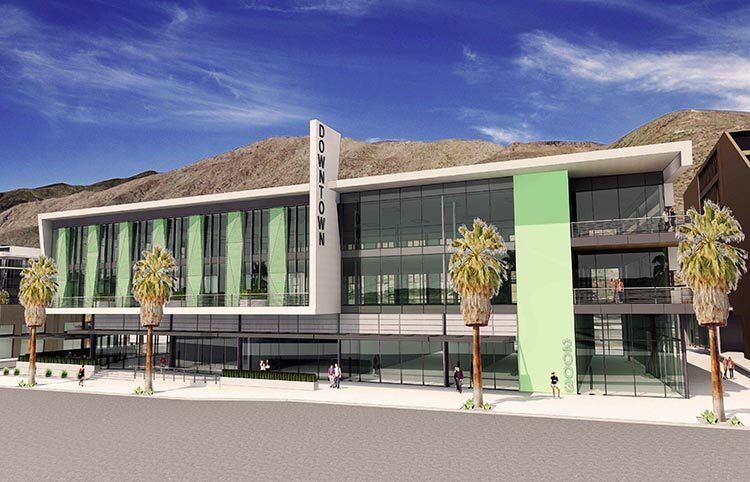 The two buildings will have a total of 34,000 square feet of ground floor retail fronting on Palm Springs’ main shopping street and 52,070 square feet of office space on the office floors above the retail. The offices at Building A will have floor to ceiling windows on all floors, while Building B will feature an articulated roof with dramatic cantilevers for sun control. Both buildings will have panoramic views of the San Jacinto Mountains to the west and the Santa Rosa Mountains to the southeast. Built in the 1920s, the Luhrs City Center is listed on the Phoenix Historical Register and includes the Luhrs Building, the Luhrs Tower and the Luhrs Arcade. Working with the Phoenix Historic Preservation Office, ACRM Architects developed a restoration program to transform it to its original grandeur, which included a complete renovation of the buildings’ windows and elevations, recreation of historically referenced entry canopies and upgrading the lobby and tower cores. 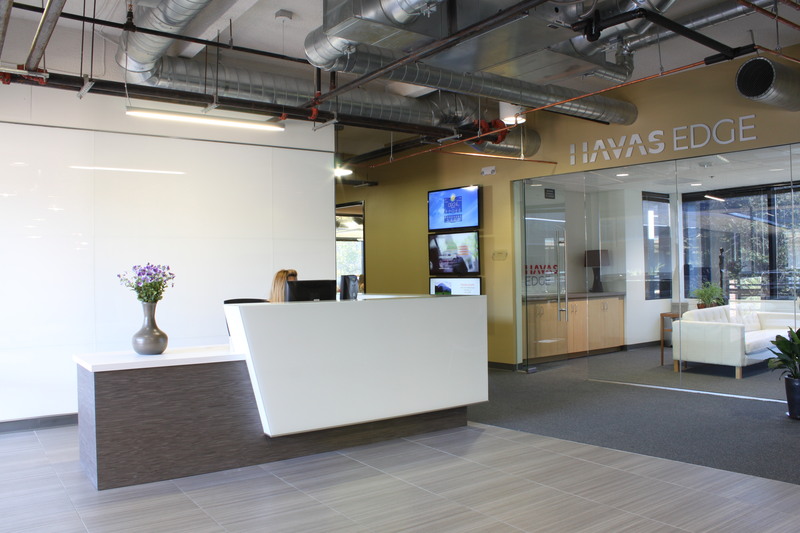 At the penthouse level, ACRM Architects worked with the Hagens Berman law firm to create a sophisticated environment while retaining the original grandeur of the space. 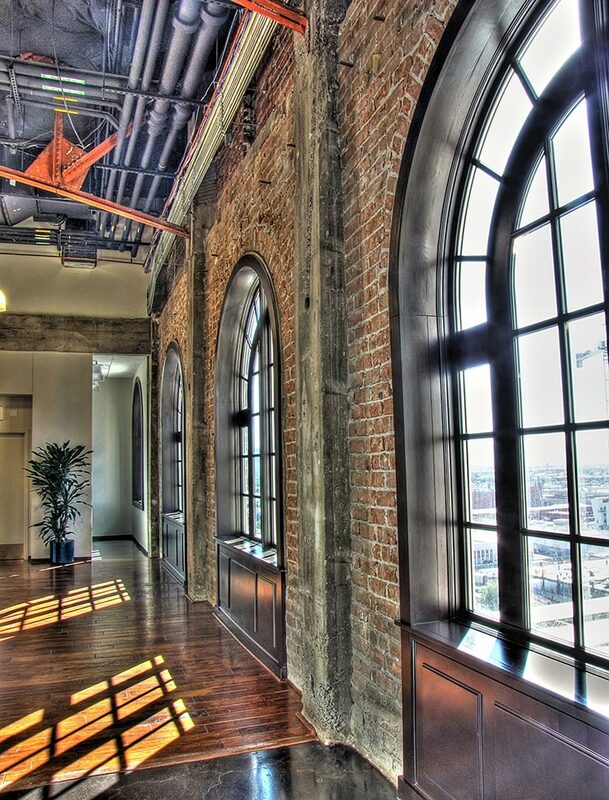 The brick walls remained exposed, steel bow trusses in high-volume spaces were restored and repainted, and arched windows were re-built to match their historic design. 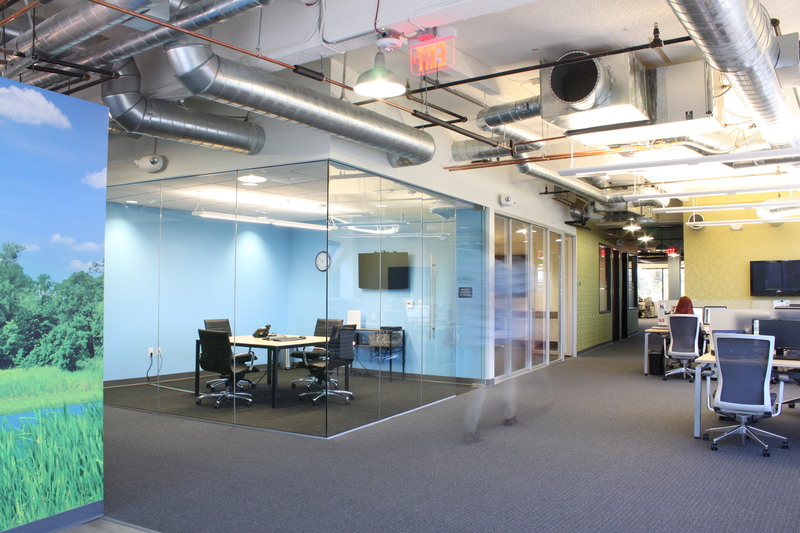 Private offices were enclosed in full height fluted glass walls with large pivoting walnut doors. Once restoration of the shell was complete, work commenced on the 72,000 square foot tenant improvement for the Maricopa County Attorney’s, County Drug Enforcement, and County Adult Probation offices in the Luhrs Building and Arcade. The challenge to outfit a 1920’s building with modern electronic systems, through tightly spaced concrete columns and limited floor-to-floor heights, was met by the project team and was submitted on time and within budget. 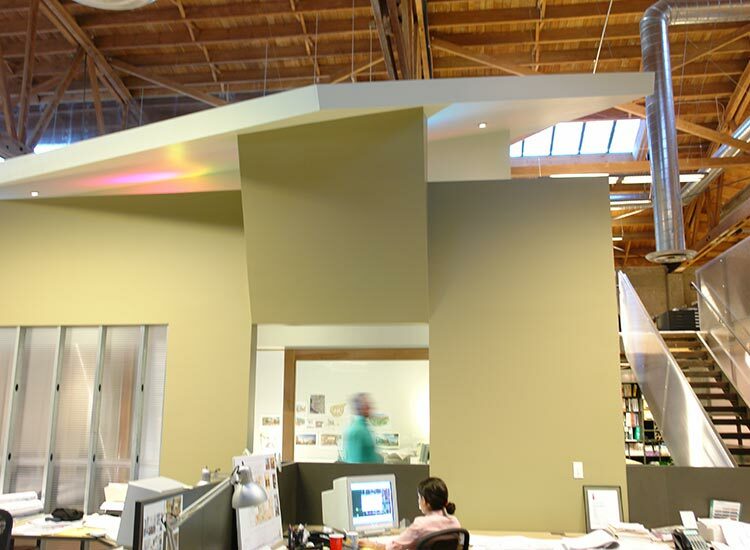 This 10,000 square foot office for Awbrey Cook Rogers McGill Architects is located in the East Village district of downtown San Diego. The project, which was a warehouse built in 1940, includes a full interior and exterior renovation along with a second floor addition. Spanned by Douglas fir bow string trusses, the open floor plan encourages interaction between the various design studios. Translucent partitions and balustrades as well as honed concrete floors give this office a minimalist industrial style that communicates well to the surrounding urban community. 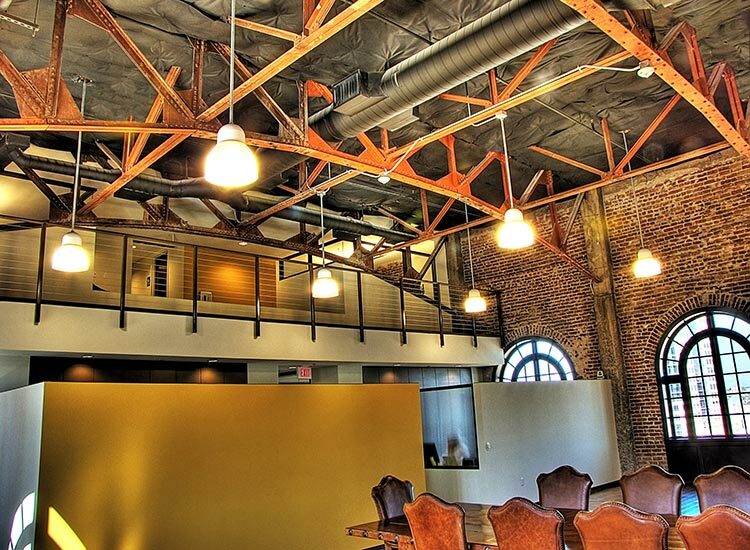 This 2,200 office space was designed for a local hotel developing company. 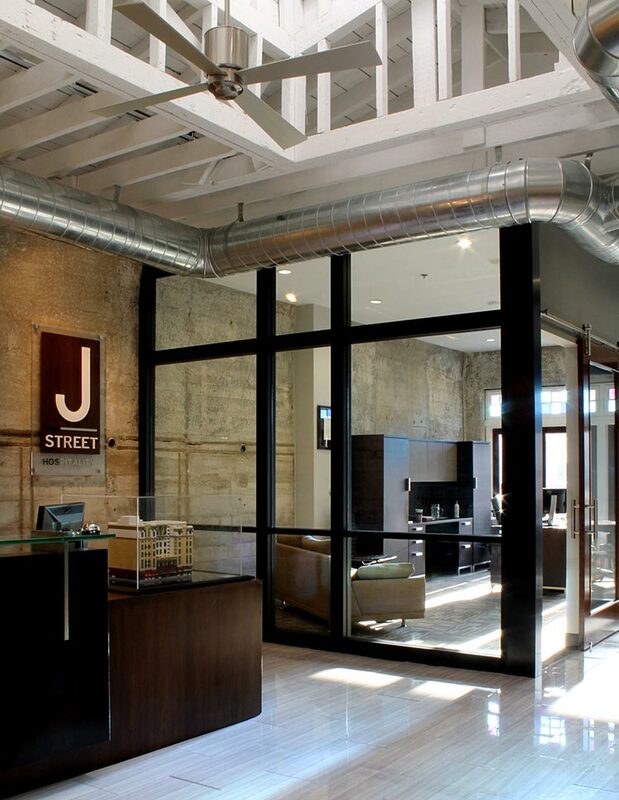 It is located on the second level of a two story historic building in the Gaslamp Quarter of San Diego. 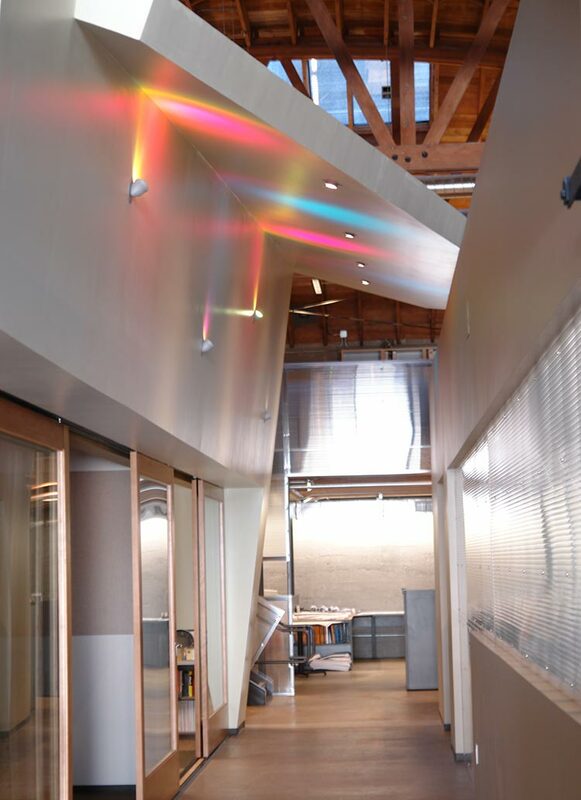 The layout incorporates many of the building’s existing characters and utilizes glass partitions to maximize natural light. 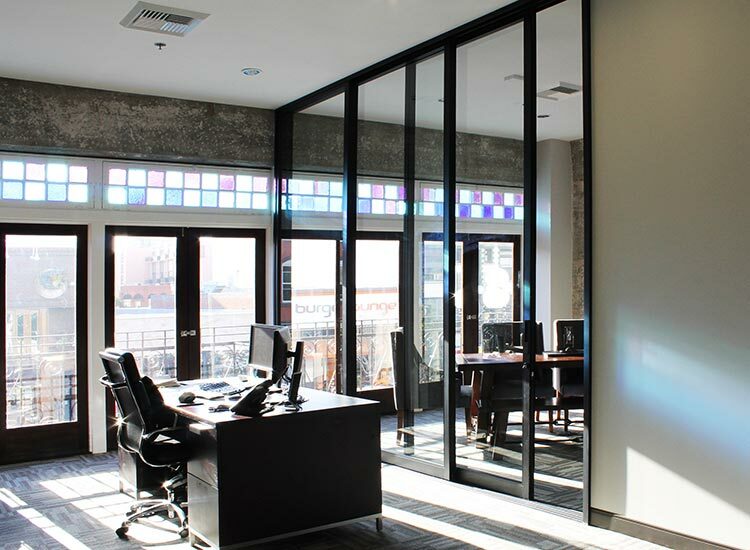 The office includes four private offices, large executive office, a conference room that can be opened into the executive office, open work area, and a comfortable break area. This two-story 25,000 office space was designed for one of the world’s leading multinational advertising and public relation companies with offices in over 100 countries. 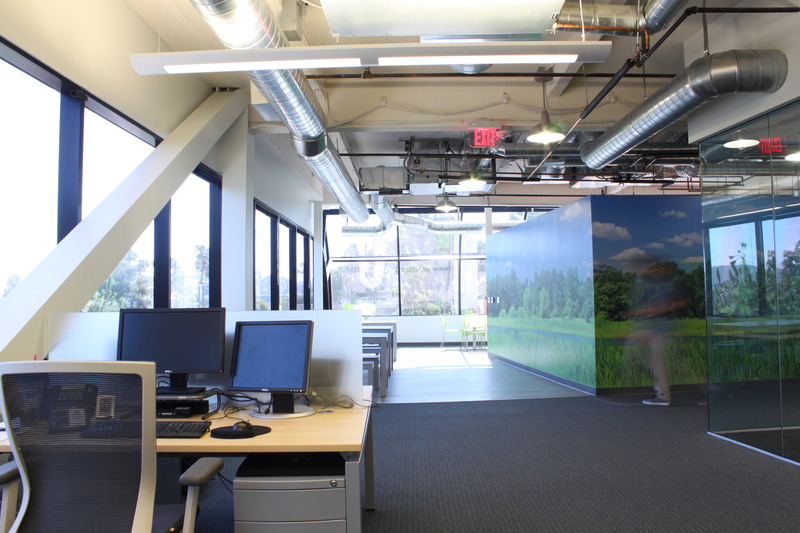 The Southern California regional office in Carlsbad accommodates the current 120 employees with potential growth of up to 150 people. The layout maximizes the use of natural light from this fully glazed building by aligning pathways on axes to views of the surrounding landscape and the mountains beyond. The office contains eight different departments, two large conference rooms, several break-out areas to encourage employee’s collaboration, and a break area oriented towards the most spectacular views from the building.